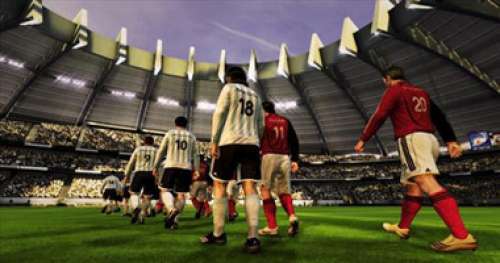 FIFA, Pro Evolution Soccer and Football Manager have laid their hands on a big chunk of the existing football game market, but that doesn’t mean you can't find an unpolished gem or two in the niches. Free online football games might not benefit from huge budgets, but what some of them have is depth, or their own peculiar style. Freestyle football is very colourful and entertaining indeed. You get to create a player and level up as you climb the different leagues alongside players like yourself. While the game mechanics are not on the same level as some other games out there, once you get into it, it will keep you glued nonetheless. The only downside is that the developer has been neglecting fixing those bugs. Despite that, it’s still a great game. You can get it from Steam. Having launched in 1997, Hattrick is one of the old dogs out there. The game’s depth and pull have understandably kept it popular since then. The gist is you are the manager of a club. You can create and manage your team in any of the 128 different countries available in the game. You will have many options to shuffle through: from deciding the first eleven to selecting the right training, transfers and a gazillion of other things. It’s a great game if you are looking for something in the mold of Football Manager. Football Legend Online is great MMO game. It is hugely popular in Russia, and with good reason: the graphics are some of the best you can get for free, while the competitiveness of its community will keep you sucked in for hours. You can, basically, create your own avatar player and use him throughout the season. While the game is free, the downside is users with Premium access are likely to overtake you in development at some point. This one is for those who prefer to suspend the action to think. It’s a managerial game which provides gamers with a huge variety of actions: from building up your club’s stadium and offices to buying and selling players and determining the team’s tactics. Goal United Pro is not a one-off game. You have to build yourself up and gain experience to be really good at it – and that is a challenge in itself. The game is still in development, but having in mind that it is based on the classic Sensible Soccer 1992, the excitement surrounding it is justifiable. Sociable Soccer will understandably have improved graphics compared to its predecessor but, most importantly, it will keep the engine of Sensible Soccer. The pace of the game is fast while the freedom of action – complete. Just shoot from anywhere; it might go in, brilliantly. 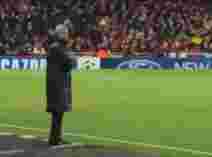 Or execute a Messi-like run from one end to the other – no worries, there is no fatigue factor. Despite the game’s apparent lack of connection to reality, it is a lot of fun. To top it, the developers have taken the promise upon themselves to organise regular tournaments.